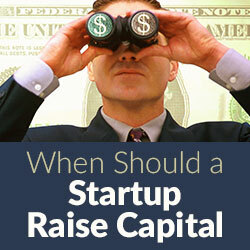 Understanding the reason for raising the money is the first step for determining when to raise it. Investors are looking for an opportunity to make a significant return on their investment, so they want to see a plausible path to those returns. So, a key question to ask is “what can we accomplish with this money?” Think in terms of discrete milestones that the company needs to achieve to be successful. Achieving those milestones should correspondingly reduce the risk of the company failing and increase the valuation for future funding (if needed). When pitching an investor, answering this question with “to grow” means little; answering this question with “to provide operating capital for 18 months, during which time we will develop and release these new features on our product roadmap, hire a new COO and expand into three new markets” means that the company has a very clear plan for how that money will translate into growth and an eventual return for the investor. It is also important to understand the tradeoffs that come with raising outside capital. Outside capital may well enable the company to grow much more quickly than it otherwise would. However, outside capital creates accountability and a relationship with the investor that is very different from running a company without outside capital. That dynamic is often not a bad thing, but entrepreneurs should be aware of it and ensure they are ready. Some businesses are “VC or bust” and will necessarily have no other path, but other businesses might well be able to bootstrap and grow organically. Those businesses should carefully weigh the pros and cons of raising outside money. First, understand that in most cases the fundraising process takes far longer than expected, so plan accordingly. Nothing makes fundraising more difficult and stressful than facing the prospect of imminently running out of money. Desperation is not an attractive quality in a company any more so than it is with people; investors may run from it, and those investors who do not may make offers that are substantially worse than if the company had allowed for a reasonable amount of time. Second, decide what valuation would be acceptable, and determine what milestones the company likely will need to achieve in order to make that valuation appear reasonable to an investor. Whether it is releasing a minimum viable prototype, signing your first paying customer, becoming cash flow positive or other similar accomplishments, each shares these common characteristics: each of these events further validates the business and makes the investment appear less risky to an investor. Valuation in startups is, for the most part, a proxy for how risky the investment appears; accordingly, less risk means higher valuations. The more meaningful milestones the business can achieve before it goes out to raise capital, the more likely it will receive the desired valuation. Keep in mind, though, that receiving a high valuation is not always a good thing. If the business expects to need future rounds of capital, a sky-high early round valuation puts tremendous pressure on the next round’s valuation, and on down the road. This can have the effect of chilling the market for those future rounds, or worse, force the company to accept a down round (a round with a lower valuation), which can have draconian consequences for the founders. Forecasting ahead and allowing for reasonable valuation growth might cost a little more equity in the early stages, but may well cost less in the long terms. A related issue is how much money to raise. As with the timing question, “how much” is mostly a function of how much money you need to achieve meaningful milestones that will result in a successful, stable business, an exit event or another round of funding. A good financial model should allow a company to estimate how much money that requires, but make sure and plan for “Murphy’s Law,” because Murphy is a frequent and unintended investor in many startups! Startups often receive the advice to raise “as much as you can when you can get it.” That advice fails to account for two potential problems. First, earlier money costs more in equity than later money; raising money in later rounds, with higher valuations, will result in more equity staying with the founders and earlier investors. Second, having an unusually large amount of cash in an early-stage company often creates an illusion that the money will never run out; companies in that situation sometimes fail to operate as leanly or strategically as they otherwise would. This is really a business equivalent of the “lottery effect” that so often plagues lottery winners or athletes who come in to large amounts of money quickly. Running a lean and well-managed operation often causes a business to focus, prioritize and be more strategic in their decision making, which in turn may increase their odds of long term success. Customer Traction: How Much Is “Enough”? Chris Sloan leads the Emerging Companies Group at Baker Donelson (Nashville, Tenn.), where he is a shareholder, focused on startups and other emerging businesses. He counsels early-stage, high-growth companies with business planning and formation, venture capital funding, drafting and negotiating vendor and customer agreements, strategic contact negotiations, mergers and acquisitions, intellectual property protection, and other general business law and IP law issues. He often serves as outside general counsel for these companies, and ushers them into the next phases of their businesses. 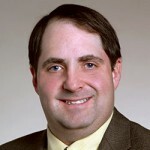 Sloan may be reached at (615) 726-5783 or by email at csloan@bakerdonelson.com.He may be followed on Twitter @casloan.